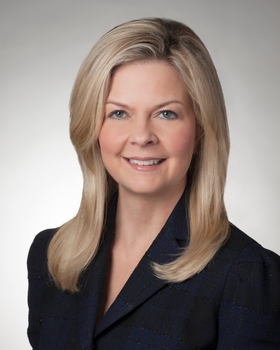 George Washington University Hospital announced Friday CEO Barry Wolfman resigned and will be replaced by Kim Russo, the hospital's chief operating officer, starting June 3. Russo, a Modern Healthcare Up & Comer in 2010, joined GW Hospital in 1997 as a speech-language pathologist. In 2006 she became an administrator and was promoted to COO in 2009. Wolfman quit after four years as CEO to move close to his adult children in Southern California. The 385-bed facility in downtown Washington, D.C., is owned by Universal Health Services, Inc.
Wolfman told the Washington Business Times that Russo is "a very disciplined and focused leader. Her level of attention to detail and her clinical background will lend itself well as she takes on this job." Under Wolfman's leadership, the hospital created a new cancer center and regained certification as a stroke center and a Level 1 trauma center. This past January, it revived a dormant organ transplant program focused on kidney and pancreas procedures. Russo played a key role in developing each program. The academic medical center's emphasis on tertiary and quaternary care comes as other systems in the region like MedStar Health are focusing on expanding their ambulatory care networks. Wolfman told the Washington Business Journal that "we've been focused on delivering really complex services that other hospitals could not or would not do because we have the expertise here. I don't think that's going to change."